On this side of the world, my favorite chocolates and candies can be bought from a lone shop – at the United Nations Commissary. I’m talking about certain american products; those are not readily available in our local groceries. I would ask a friend then, who works at the UN to buy me some…thank goodness, she has always been kind. 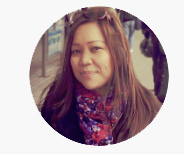 If only I could I would buy wholesale candy and chocolate sales like those at http://www.bwcliffordcandy.com, though we have awesome chocolates around, I still crave for Hersheys kisses and my all-time favorite Cadbury topdeck…two of the brands the website distributes. Speaking of cravings, yes I was craving for hershey’s frosting that’s ready in a bottle to smudge on cakes. It has been very seldom now that I bake. The kids were on vacation and it means that I actually have more time in my hands to bake but instead we’ve been out and about in the sun. That includes eating out as well. While at Starbucks, my youngest got fascinated with cake pops he kept asking me to make some. Since they’re quite pricey there I took it as a challenge and somewhat a good chance to bond with them. I got some time off yesterday so I made some. Here’s a fun recipe that you can do with the kids at home. 1. Bake your favorite chocolate cake or buy a ready-made cake. Even your choice of cupcake would do, not limited to chocolate. Make sure to let the cake cool down if you chose to bake one. 2. Break down the cake into fine crumbs into a bowl with either spoon or hand. This is what my kids enjoyed doing. 3. Take your frosting and add a small amount into the bowl of crumbled cake. You have to make this mixture just moist enough to make them sticky but not gooey. As each cake and frosting are different, you need to make this according to preference. 4. When you get the consistency you like, scoop out a little of the mixture into balls. Arranged the balls in a tray with parchment paper and refrigerate for at least 10 minutes. 5. While waiting, melt chocolate for coating on double broiler. This could be any chocolate but those used for chocolate fondue would be best. 6. Take out the chocolate balls from the fridge. Let the melted chocolate cool down a bit. Dip a lollipop stick on frosting (to make it sticky) and insert, just halfway through a ball. Do this for all the balls. 7. 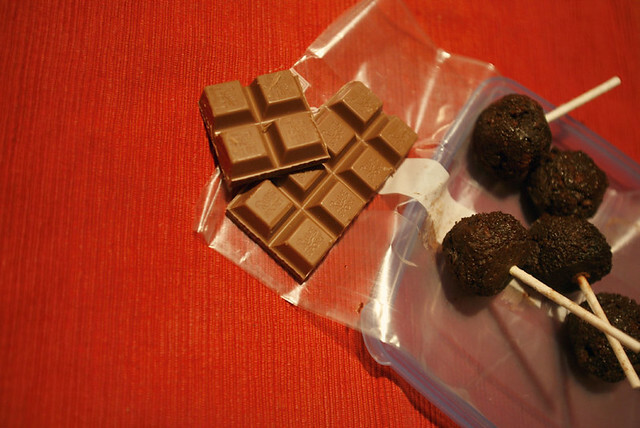 Dip each ball onto melted chocolate and coat them fully. If you have something to let them stand up to, the better, you can use a piece of styrofoam block for that. 8. Decorate the cake pops with candy sprinkles or with melted white chocolate placed in a frosting bag. 9. Refrigate the cake pops once again before serving. Looks yummy Sis!…too bad I’m not much into chocolate…:-(…but hubby loves them…chocolate candies,cakes, pies, you name it. BTW Sis, hubby does not eat kare2x…mukhang “ewan” daw plus amoy “ewan” din daw ung alamang…LOL! Cake pops are fun to make and even more fun to eat! I really love this cake pop trend since they are so customizable…flavors and decoration. I’d definitely go with chocolate though! These sound delicious. Cake, frosting, chocolate, sprinkles… what’s not to love?! Wow,that looks yummy. We’ll have to try that sometime. You had me a chocolate!!! I have been wanting to make some cake pops for awhile now. These look really yummy and not at all hard to do like I was thinking they were going to be. i tried to make cake pops a couple of years ago. i had the hardest time dipping them and coating them evenly in the chocolate. i used melting chocolate which i think may have been too thick. if i try it agian i will use melted hersheys chocolate. unlews anyone has any tips for me? wow!! this looks like a little chocolate pop of heaven! 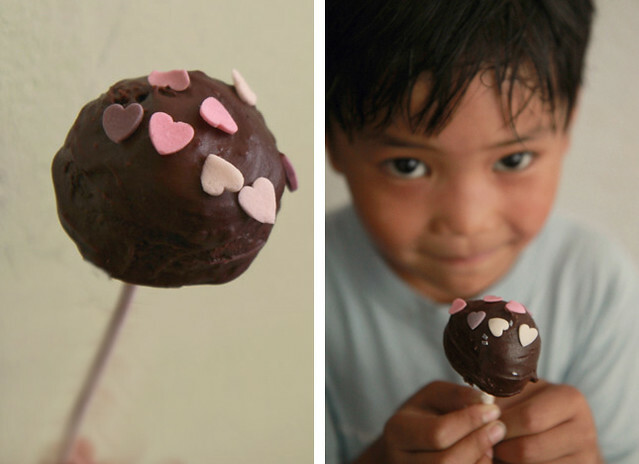 These chocolate cake pops look great — anything with chocolate gets my attention. I’ve copied the recipe and have forwarded it on to my girlfriend (she cooks and bakes much better than me). Great post! Your chocolate pops looks yummy. I thinks it gets the attention even for adults.